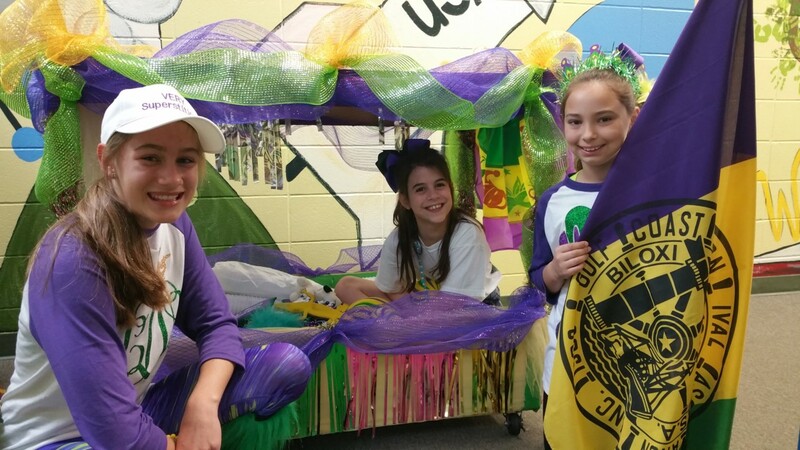 OLF Elementary celebrated Mardi Gras by having their own parade at the school. Ms. Cindy Hahn, Principal, and her staff led this year’s parade. Students were encouraged to wear Mardi Gras outfits and line the hallways for the parade. Parents, students, and faculty marched down the hall to Mardi Gras music tossing beads and doubloons. “Mardi Gras is the signature event of the Gulf Coast and we wanted our students, staff, parents to participate in the festivities,” said Principal Cindy Hahn.